Last weekend, the crystal-covered work of Colombian designer Alfredo Barraza was on full display at the Miss Colombia 2018 beauty pageant. 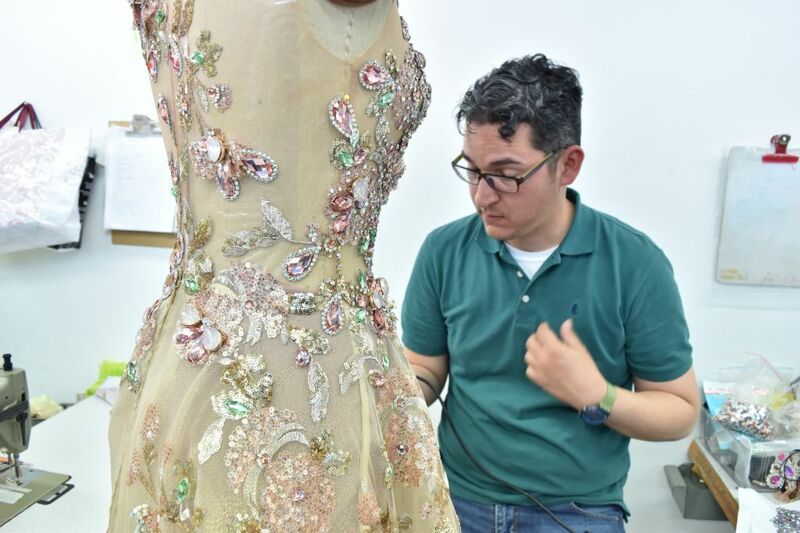 He designed incredible pieces for three of the finalists. 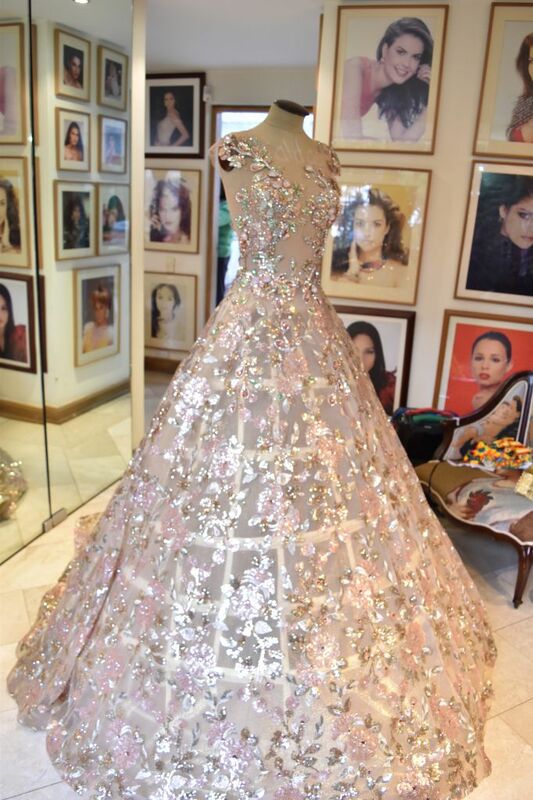 Laura Olascagua of the Bolivar region of the country was placed first runner-up, and Maria Clara Ramirez 6th runner-up, meaning incredibly that two of Alfredo’s dresses ended up in the top ten. 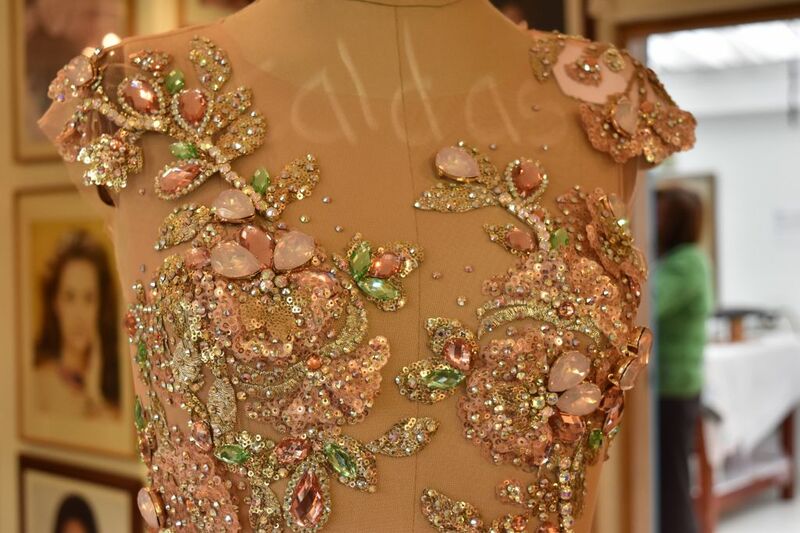 Miss Olascagua’s dress was an eye-catching shade of pink making use of thousands of Chaton Rose crystals in Light Rose hue, while Miss Ramirez’s was beautifully adorned with slightly more variation, notably a serene combination of Light Rose AB, Jonquil AB and Crystal AB. 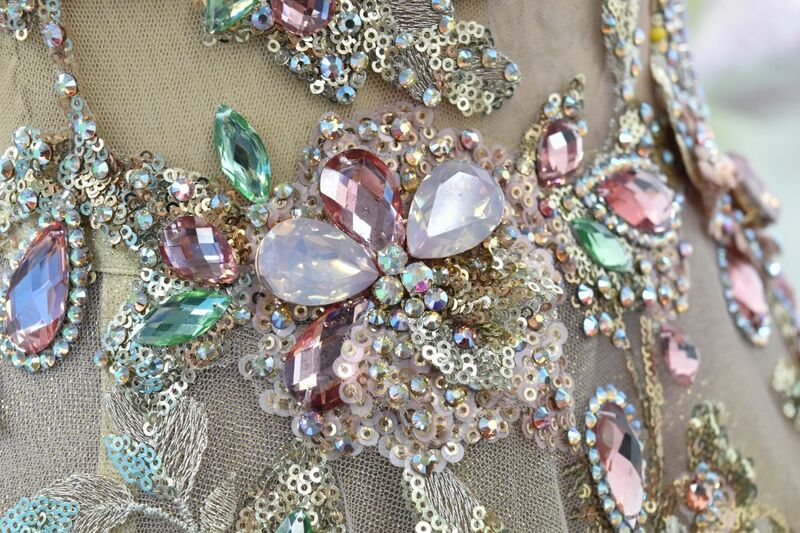 All crystals used were pure Bohemian crystal from Preciosa Components. Alfredo Barraza is no stranger to the beauty pageant scene. 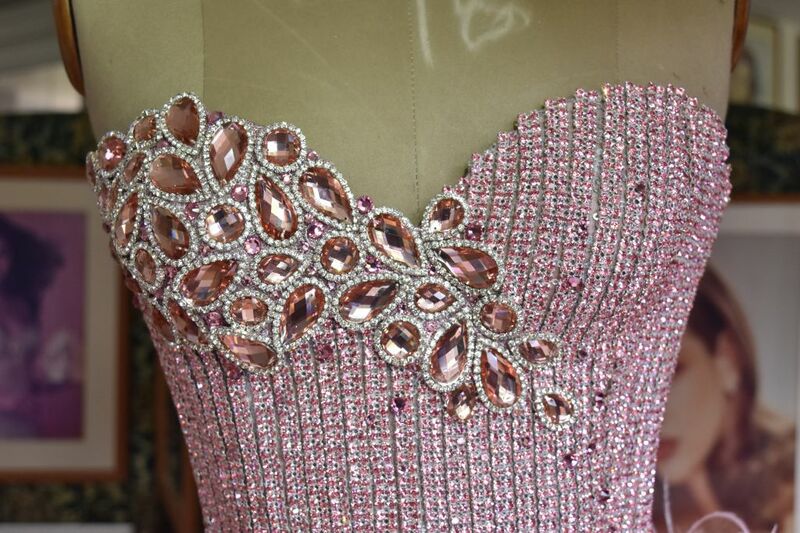 This veteran dressmaker has been creating personalized outfits for all manner of glamorous occasion for more than 20 years. Did you always want to be a designer? How did you end up on this career path? More than a designer, I consider myself a creative adviser. I actually became a fashion designer by accident; I studied architecture and I went into fashion out of necessity. I needed work and so I took advantage of my talent. My mom always supported me. Tulle, chiffon, lace and of course crystals. What do you like best about Preciosa crystals? I love the quality and the ease of use; their glue is very good, meaning it sticks effectively to many materials. I also love the huge range of colors. Have you ever visited Czech Republic, the home of Bohemian crystal? How well known do you think the Czech Republic is in Colombia? I have been invited but I have never been able to go. The Czech Republic is a fantasy land for us, a country of tradition and history. It is great to see the progress they have had with their glass industry worldwide; anyone who goes anywhere in North America or Europe and finds Preciosa Crystals. The conversation with the client is the most important. We discuss what they want and the type of event for which that dress is going to be used, then the idea is developed. Also important is the figure and the budget of the client. How many queens have you dressed so far? From Colombia, over 335 and from other countries, approximately 30 queens. The first time I used crystal was in 1995. I was instantly hooked. We know that you have worked with a large number of celebrities; what is the difference between working for them and for a regular customer? For me they are all important, I try to do my best for every client, whether it’s a beauty queen, a girlfriend, a carnival queen... they all have the same relevance to me.